Don’t fall into the same old plain van slump. Add some flair to your van’s exterior with a wrap from our Kansas City professionals! 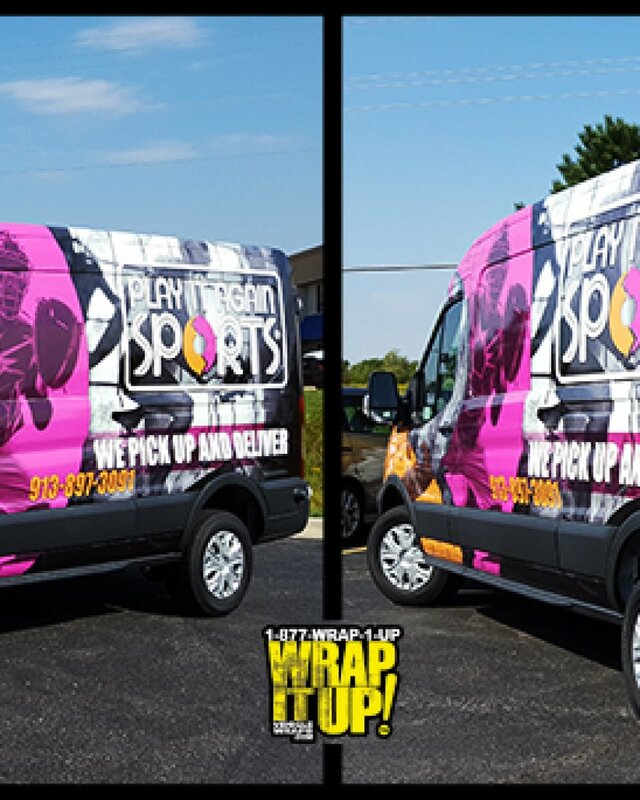 From minivans to utility vans, Wrap It Up can create a custom wrap for any type of van. With years of experience and an industry reputation for excellence, you can rely on our team to handle your van wrap needs. We go above and beyond to ensure you receive the finished product you desire. Find out how affordable it is for you to order your custom van wrap using our free quote builder. From the comfort of your computer you can get an estimate in a few simple steps. Ready to schedule an appointment for your van wrap? Call our Kansas City establishment at (913) 948-7752 to learn how we can help.